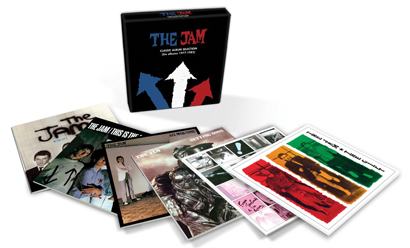 On December the 3rd, Universal will release all of The Jam’s albums in one box set. Packaged in individual vinyl-replica CDs, the set will commemorate the 30th anniversary of the band’s split in 1982 whilst at the height of their success. The Jam crashed into the British Rock scene in 1977 fronted by Paul Weller, who was just 24 when they split. They had 18 consecutive Top 40 singles including 4 number 1s. Their music is still beloved of original fans and new supporters through Weller's solo career and he still plays many of the Jam songs in his live sets today.